Adam Joseph Industries produced a plethora of products for Return of the Jedi. 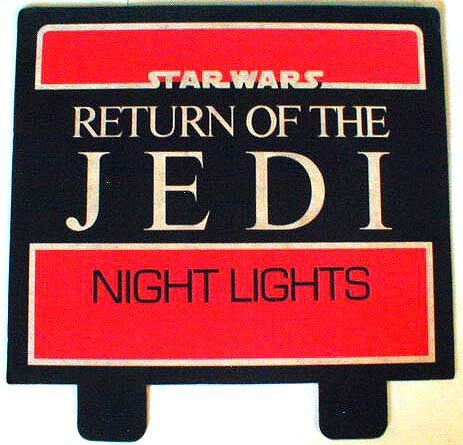 One such product, nightlights, was available at retail housed in a display bin with this attractive header card affixed to it. Although the bin is not shown here, it was a rectangular shaped bin with a graphical sheme on the bin front similar to that of the header card. This is just one example of the many fine displays in James Boryla's collection.